Vince joined the industry in 1979 on a part-time basis, while still involved as a very successful educator and a coach of football and wrestling at Fort Lee High School. He is a member of the Fort Lee High School Athletic Hall of Fame, New Jersey Region II Wrestling Hall of Fame, and a multiyear Coach of the Year in both sports. He was also recently inducted into the NJ Scholastic Coaches Hall of Fame. In 1980, Vince left education to pursue his financial advising passion on a full-time basis. Since devoting his time completely to the financial industry, Vince has held several leadership roles. Vince has received numerous industry awards, including several GAMA National Management Awards (Platinum, Gold, Silver, and Bronze) and National Association of Insurance and Financial Advisors (NAIFA) National Quality Awards from 1988-2005 for his successful career in agency management. Vince is a 37 year Qualifier for the Million Dollar Roundtable*. Today, Vince dedicates all his time to his existing clients and their referrals. Vince's educational background includes a B.A. degree in Business Education and M.A. in Administration. Vince completed his CFP (R) training at the College for Financial Planning in Boulder, CO in 1986. 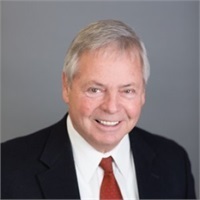 He has also earned a professional designation as a Chartered Life Underwriter, as well as having completed and taught courses in Estate Planning, Business Insurance, and Investments. Vince currently holds FINRA Series 6, 7, and 24 registrations. A resident of Spring Lake, New Jersey, Vince and his wife Janis also enjoy spending time in Florida, especially with their two adult children and two grandchildren. His hobbies include motorcycling, animal rescue, travel, charitable endeavors, and continued support of the sport of wrestling. * Qualifying membership in the Million Dollar Roundtable (MDRT) is based on minimum sales production requirements and gross business generated within a year. MDRT members must also adhere to strict ethical standards.